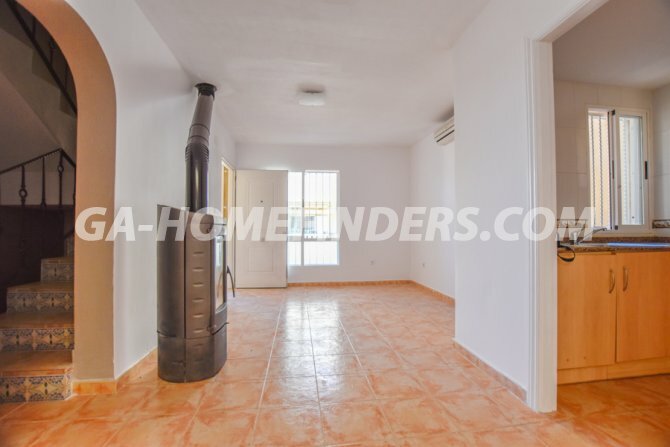 Townhouse with two bedrooms and two bathrooms. 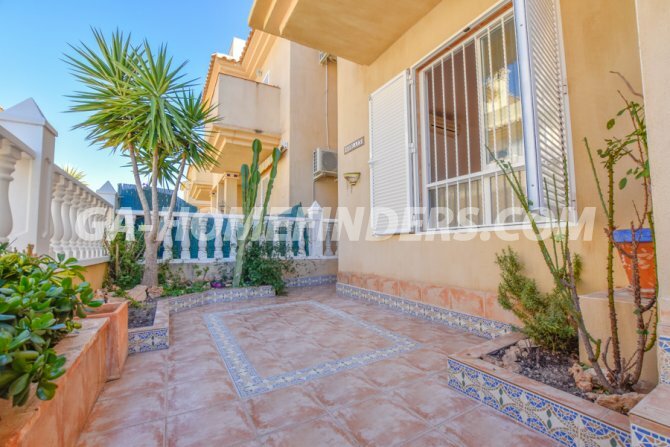 At the entrance of the house there is a large terrace with some greenery. 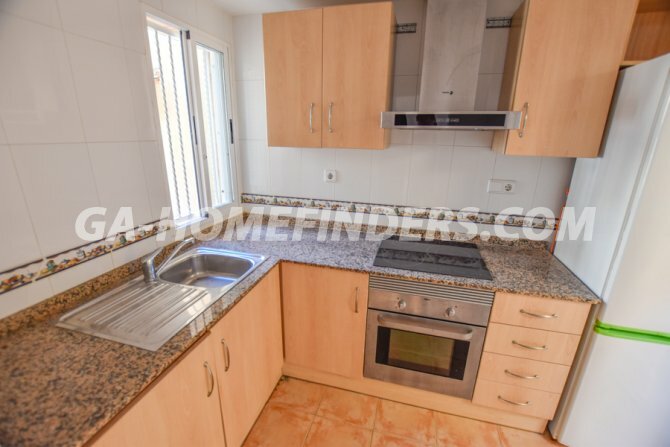 The living accommodation on the ground floor comprises of a spacious living room, an independent kitchen with appliances, a bathroom and a utility room. 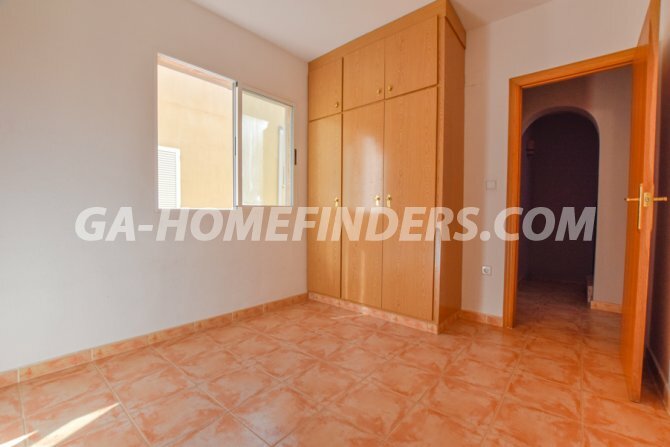 On the first floor there are two bedrooms, the main one has been extended and both rooms have wardrobes. 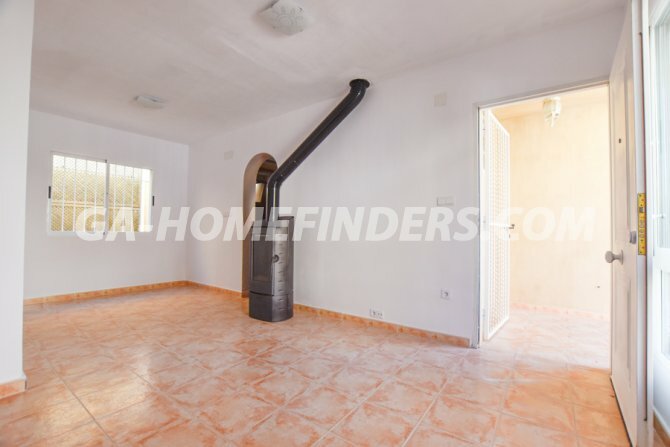 The family bathroom is also on this floor. 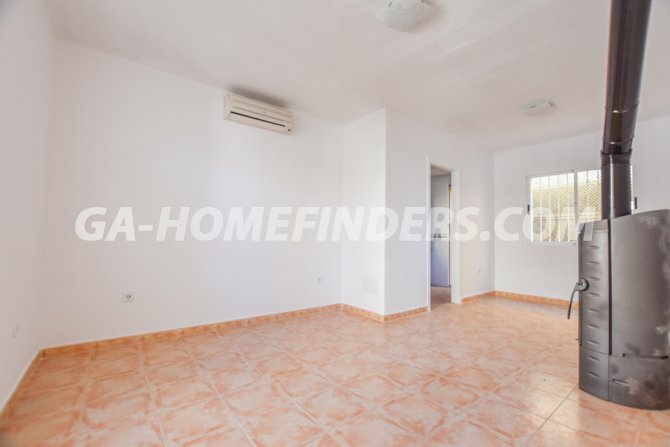 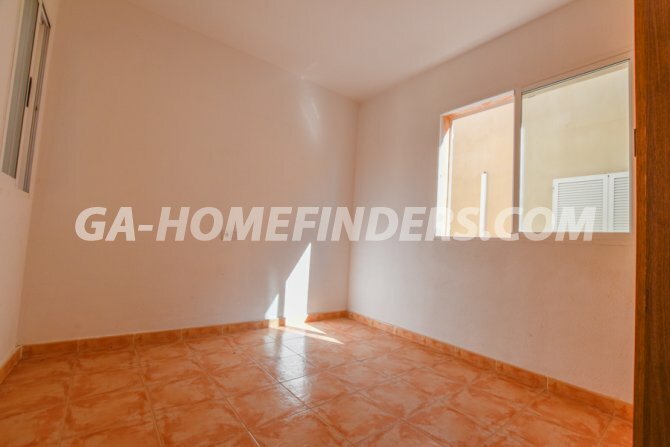 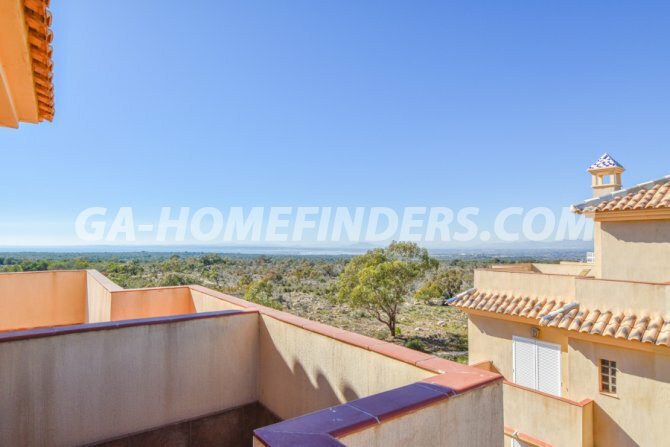 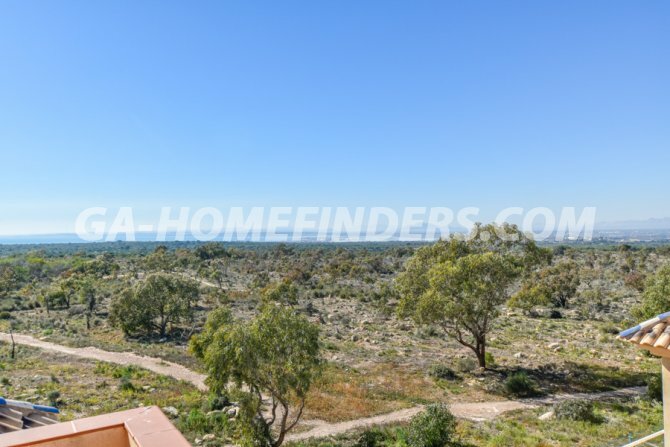 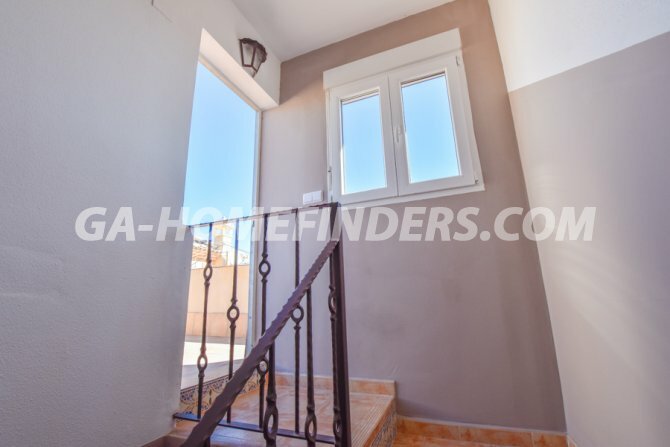 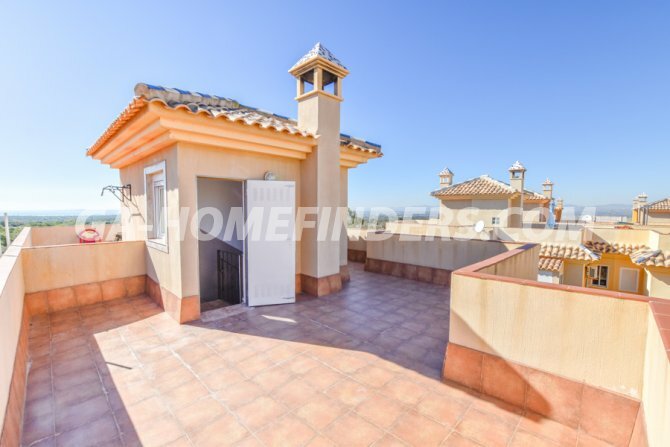 There is a spacious solarium with wonderful views of the Sierra de Santa Pola. 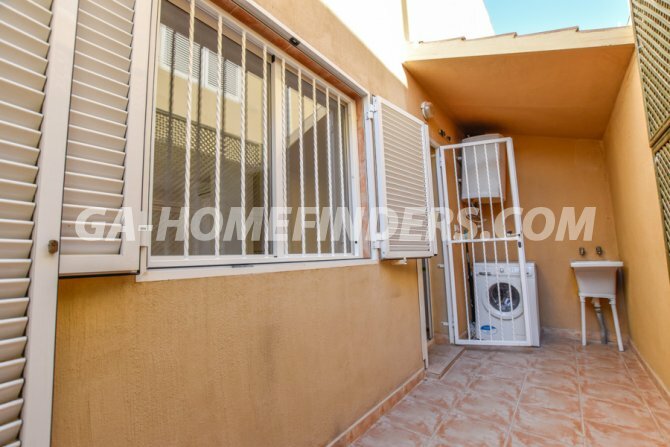 The windows have security shutters and there is air conditioning in the living room and master bedroom. 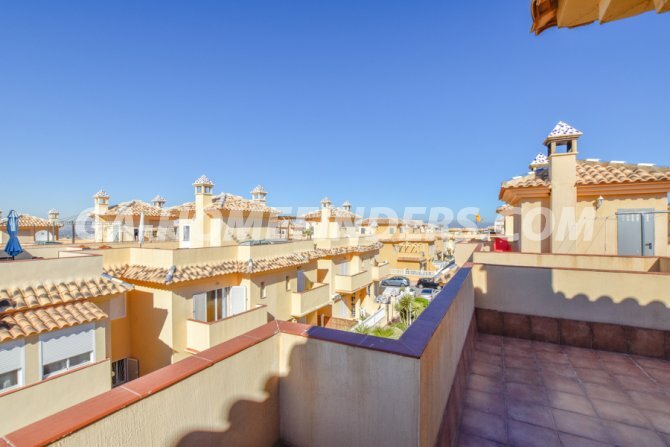 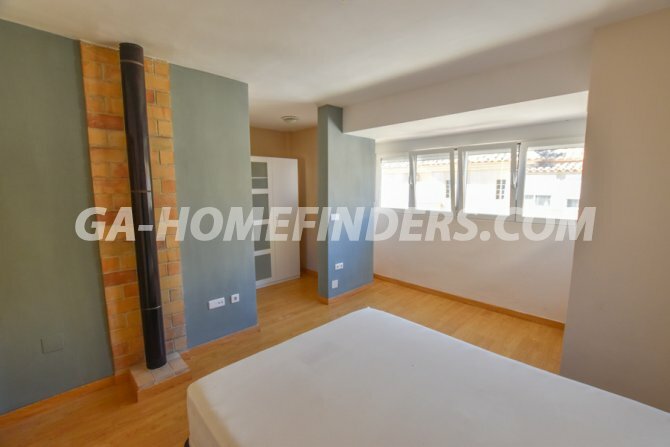 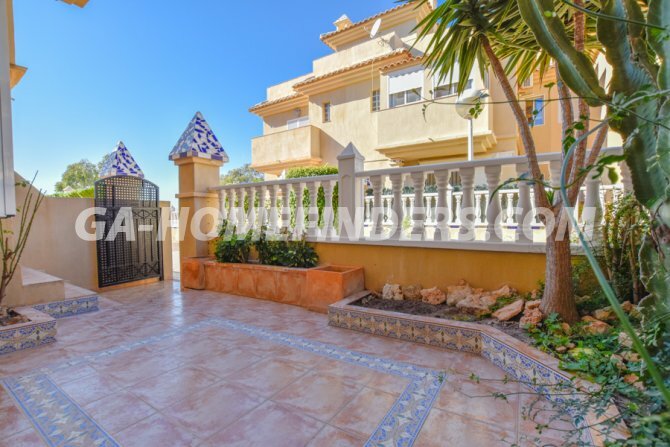 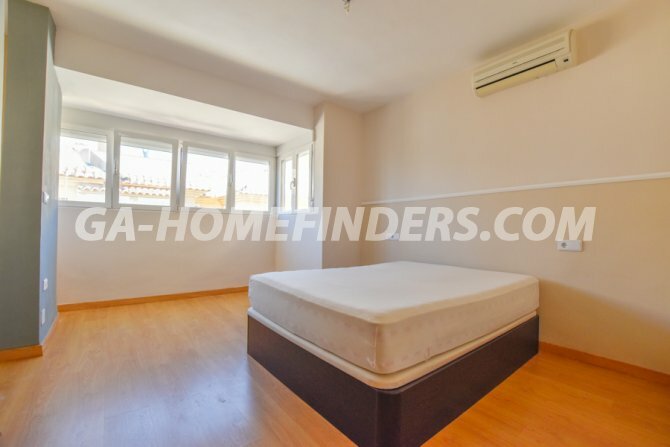 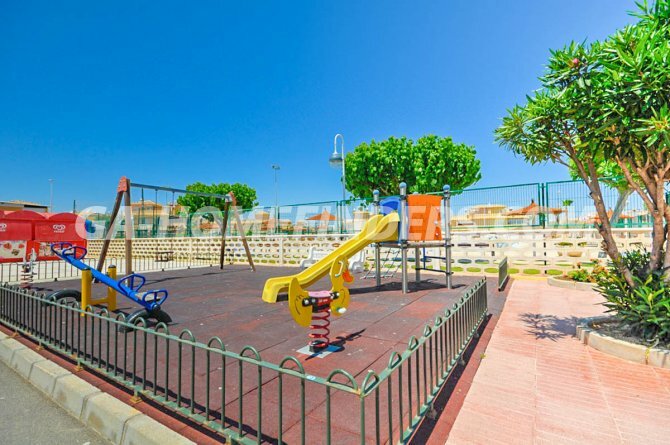 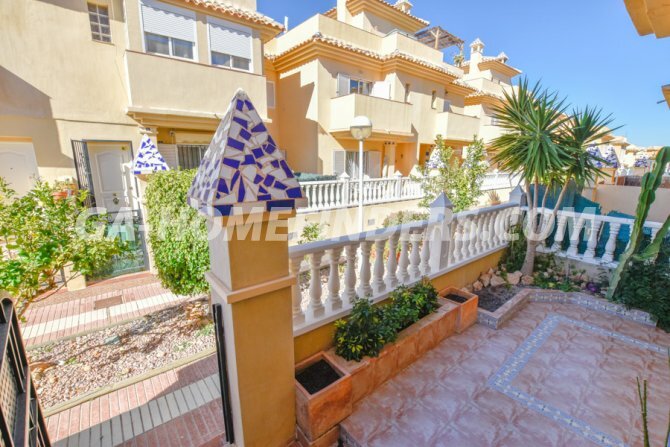 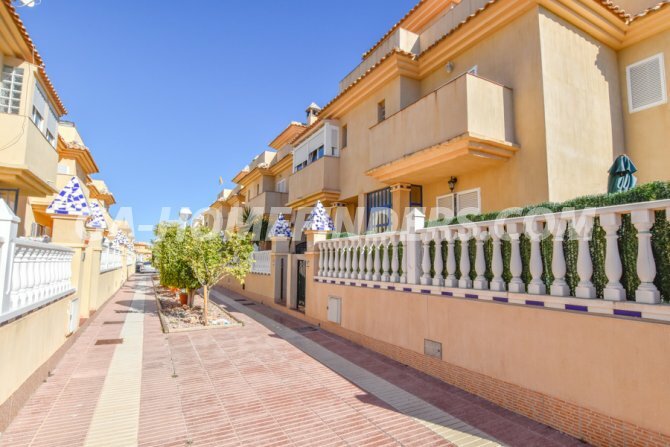 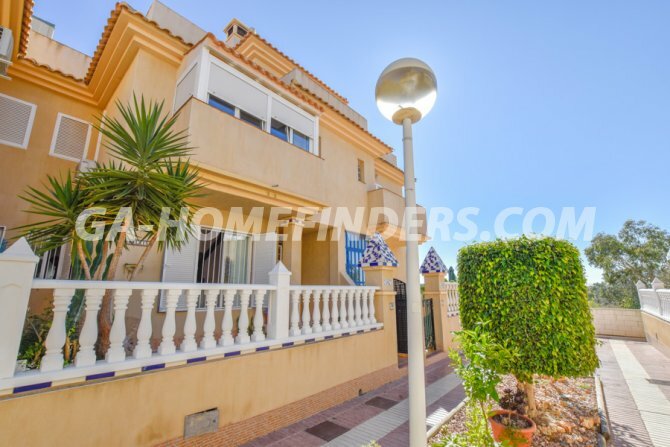 The urbanisation is located in the upper part of Gran Alacant, it is gated, it has 2 community pools, a children's play area and a tennis court.